ARP SB/BB GM, 12-Point, Stainless, 3-pc. SB/BB GM, 12-Point, Stainless, 3-pc. 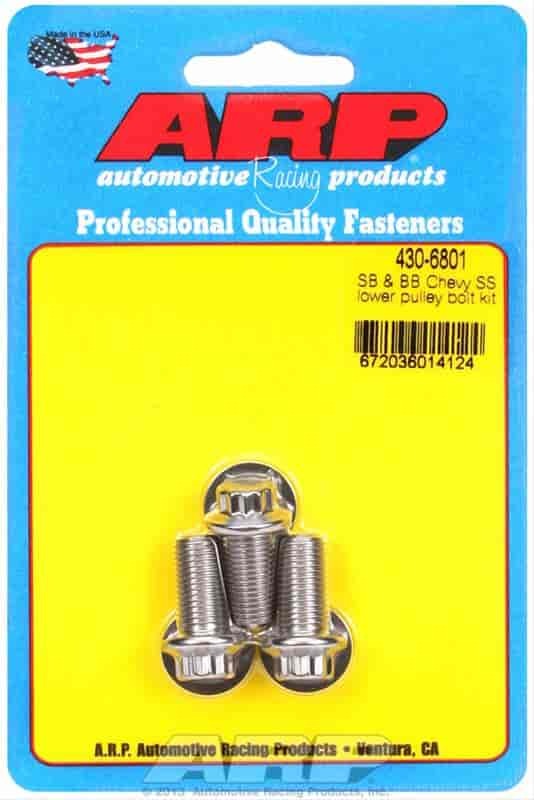 Trans Dapt 9490 - Crankshaft Pulley Bolts 3/8"-24 x 1"
ARP's Lower Pulley Bolts provide the reliability required in racing and high performance street applications. These bolts are premium grade 180,000 psi rated fasteners that securely attach the water pump and lower pulleys. Includes washers. Does ARP 430-6801 fit your vehicle? 430-6801 is rated 5.0 out of 5 by 1.